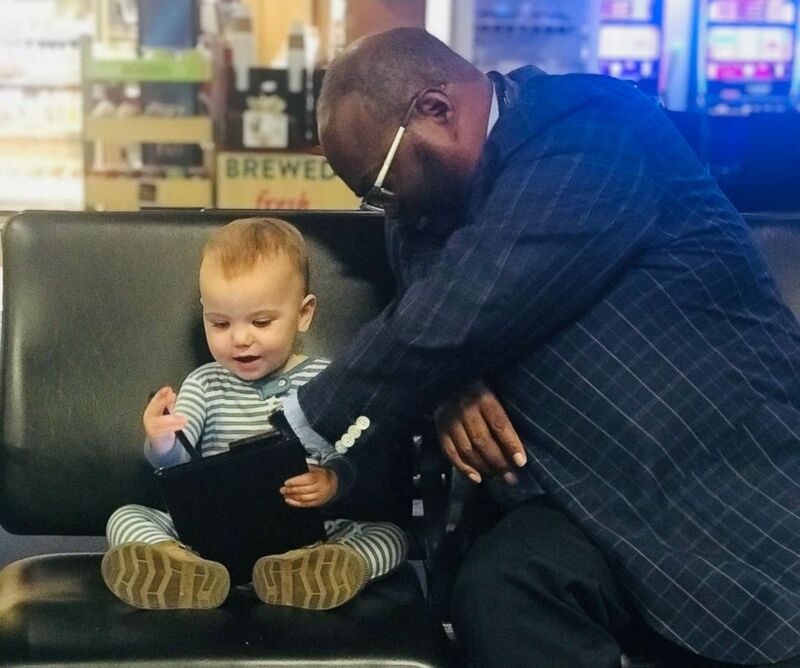 Armentrout, an author and motivational speaker, was traveling from Las Vegas to San Diego with his wife and 16-month-old daughter when they met a man at an airport gate. Kevin Armentrout’s daughter, Carter Jean, interacts with a kind stranger on a recent trip. Armentrout said his daughter, Carter Jean, and the stranger spent the next 45 minutes together, watching cartoons on the man’s tablet and eating snacks. In a Facebook post that’s since been shared 65,000 times, Armentrout wrote: “Watching them in that moment, I couldn’t help but think, different genders, different races, different generations, and the best of friends. This is the world I want for her. Some comments have criticized Armentrout for pointing out the two have different racial backgrounds. He said these people are missing the point. Since the post has gone viral, Armentrout said he has spoken to the man in the photo who he identified as Joseph Pat Wright. “He’s a man filled with love and compassion,” Armentrout said.